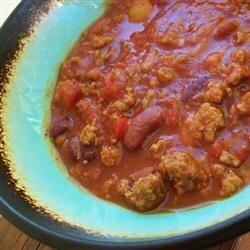 This is a great chili but to sweet and soupy for me. Next time I’ll leave out the sugar, drain the cans of beans and use a full pound of Italian sausage and see how it is then. Outstanding Chili! Weird recipe but great taste.